The Lilgoose 12" Girls Bike from Mongoose is built with a lightweight alloy sidewalk frame with components that are tailored for the young rider. 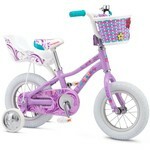 The Lilgoose also comes fitted with a kids specific handlebar for optimum comfort. Mongoose® Aluminum children's sidewalk frame with Hi-Ten steel fork for a lightweight yet durable ride. 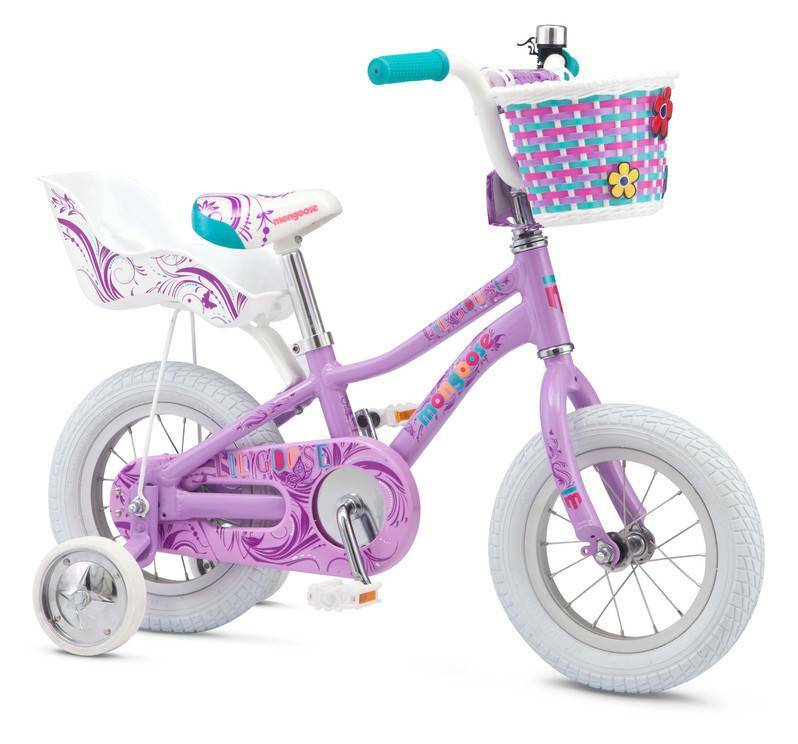 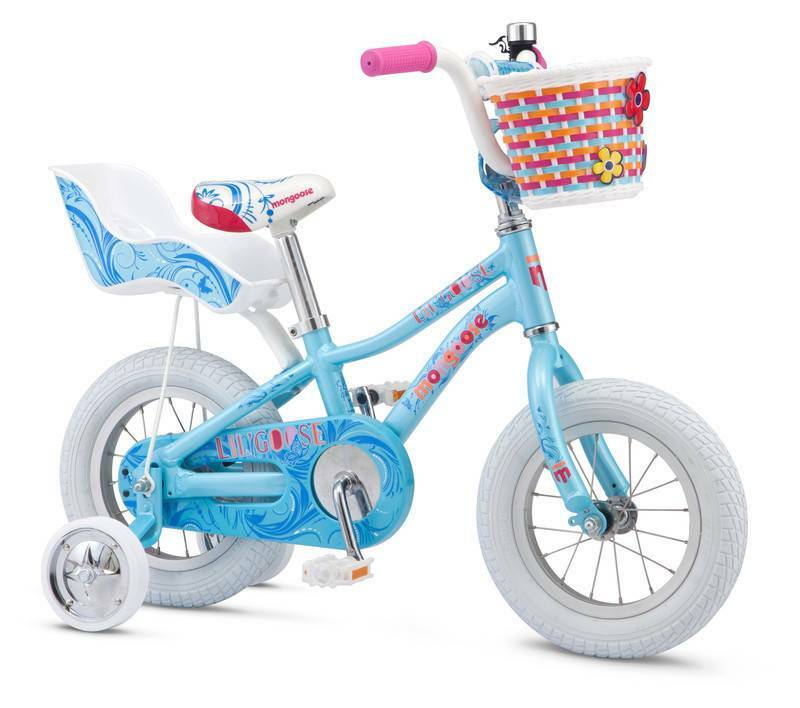 24 x 16t children's gearing with 89mm crank arms and rear coaster brake offers easy pedaling and stopping for little riders. 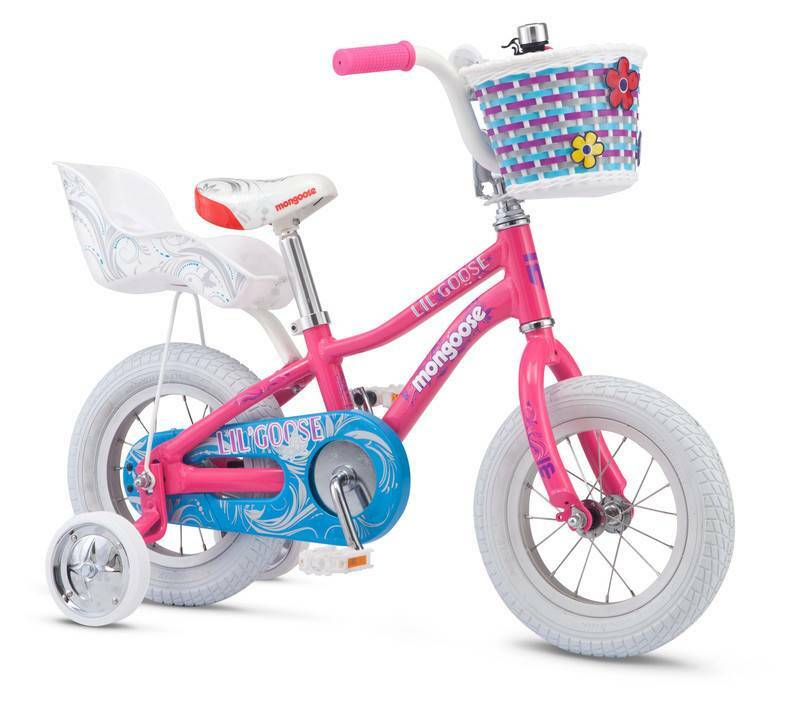 Kids' specific Mongoose® handlebar, saddle and grips create a custom comfortable and kid-friendly fit.